to learn about how to make body butter. to read about the Best Earl Grey Tea Recipe. to read about the Orange Elecampane Bitters Recipe. to read about Ginger Tea Benefits. to read about Ashwagandha Benefits. to read about Coriander Benefits. to read about Black Pepper Health Benefits. to read about Licorice Root Benefits. To learn about herbal measurements. The taste of herbs is a facet of herbalism that has intrigued me for several years. I began teaching about the Taste of Herbs three years ago with presentations alongside Michael Tierra and I’ve taught an introductory course at herbal conferences across north America. After several years of exploring the taste of herbs I am still completely fascinated with this sensorial exploration! I’ve even created an entire course exploring these concepts in depth. You can download your free copy of the Taste of Herbs Flavor Wheel and learn more about my upcoming course at TasteOfHerbs.com. What is the Taste of Herbs? Exploring herbs through the sense of taste is a traditional tool that has been used for as long as we can imagine. Before microscopes, petri dishes and isolated chemical constituents, taste was a practical tool to give someone insight into how to use an herb. This practice is still very much alive in traditional methods of herbalism. If you were to study herbs from an Ayurvedic or Traditional Chinese Medicine perspective you would find that taste is an important part of studying herbs and their methods of use. 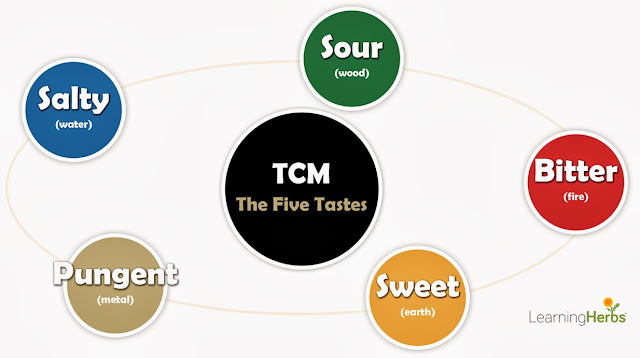 In Traditional Chinese Medicine there are five tastes. For me, studying the taste of herbs is two-fold. On the one hand it is a theory that has been passed down through many generations and it is something that can be memorized to gain a deeper understanding of herbs and how they work. But taste isn’t something that should be learned from book study alone! Our own subjective experience of taste is just as important to explore. 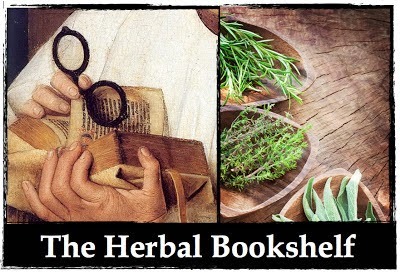 As Paul Bergner recommends: to be a master herbalist in thirty years or more, taste an herb every day. 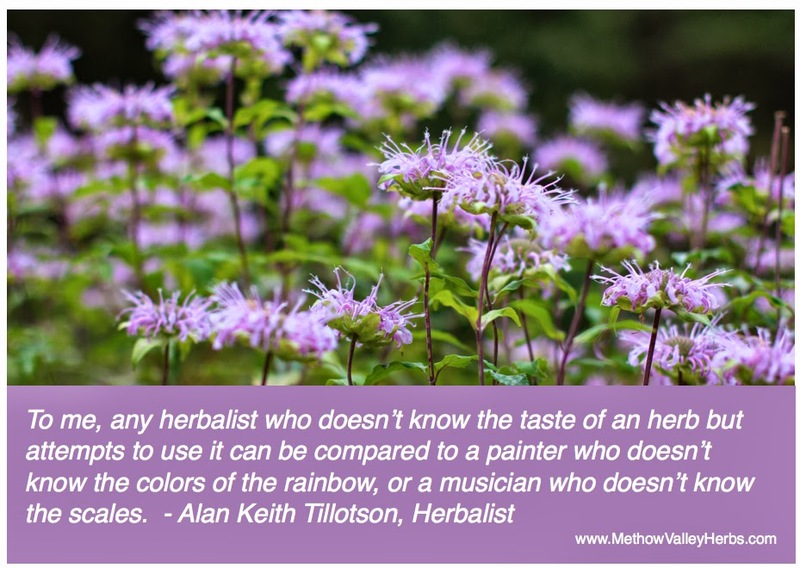 Here are my six top reasons why herbalists should study the Taste of Herbs! Taste can give us a strong visceral connection with plants that goes beyond memorizing what books say or even what our teachers say. Our senses - taste, feel, smell, listen - are powerful ways in which we make sense of our world. They help us to take in information, record that information and learn. Ever have a sense of smell immediately evoke strong memories? Ever hear a song that instantly brings you back to a particular time in your life? How about the taste of comfort food? A favorite family recipe? These experiences of the senses strongly transport us to another place and time. They present another way of knowing that strongly activates the mind. We can easily forget something we read in a book one time, but once you really connect with a plant through the sense of taste you’ll never forget it. In my opinion, one of the reasons herbalism is such a powerful form of medicine is that it matches herbs to people instead of diseases. As herbalists we don’t diagnose eczema or fibromyalgia or heartburn and then give herbs to match those diseases. That is more the realm of western medicine. Instead, we seek to understand the person and their underlying imbalances and skillfully match herbs, diet and lifestyle suggestions to help them create health from the inside out. When using herbs in this way they go beyond being “herbs for eczema” and, instead, become a powerful tool to help someone discover and resolve the root cause of their health problems. Does the person have too much heat? Cold? Is there too much dryness or moisture? Once we understand the person, we can then match herbs to the person. Warming herbs can be given to help someone who has too much coldness. Cooling herbs can be given for someone with too much heat. How do we know if an herb is warming or cooling? By taste and taste sensations. I know you already know this! On a hot summer’s day do you reach for a steaming hot bowl of chili? Or watermelon? On a brisk fall day do you want an iced smoothie or a warm drink? 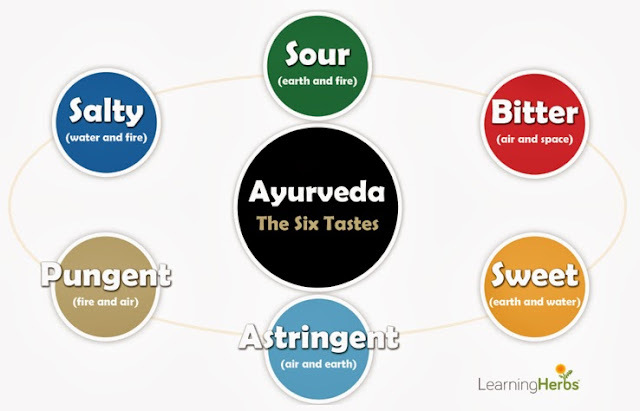 The taste of herbs is like an herbal decoder ring for understanding herbal energetics. With this knowledge you can be more confident and effective when choosing herbal remedies. 3. How potent is an herb? I often hear people ask about the potency of an herb. The classic example is someone finding a long-lost jar of herbs on their back shelf and wanting to know whether it is still good. Since there isn’t really a broadly accepted “due date” on herbs, the best way to tell is by using our senses. If you know how the herb tastes when it is vibrant and potent herbal medicine, then you can do a taste comparison to tell if you can use your forgotten herb with confidence or if it is too far past its prime. You can also use the sense of taste to determine if the herbs you harvested from your garden are more or less potent than the herbs you bought online or the herbs you wildcrafted. I love being able to taste an herb or an herbal preparation and know by taste alone whether or not it is going to be powerful medicine. Most of the time we confidently know which herb we have. Perhaps we harvested it ourselves using our plant ID skills, or it came fully labeled from a reputable company. Sometimes we can simply use our eyes to know that yes, this is really chamomile. But this isn’t always the case. The majority of herbal safety problems comes from adulterated herbs. This is where someone has substituted a more readily available herb that looks similar to the one desired. Skullcap being adulterated with germander is a key example. Powdered herbs can be difficult to recognize by sight alone. Knowing the taste of an herb can help you to really know that the powdered herbs you get are the ones you ordered. Another frequent question people have is whether they can use a plant with the same genus, but different species, in a similar way. What about plantains? Can Plantago lanceolata be used similarly to Plantago major? 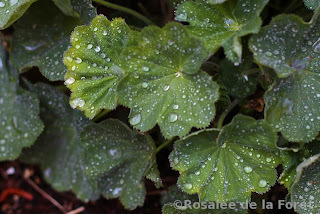 Can Rosa rugosa be used like Rosa nootka? 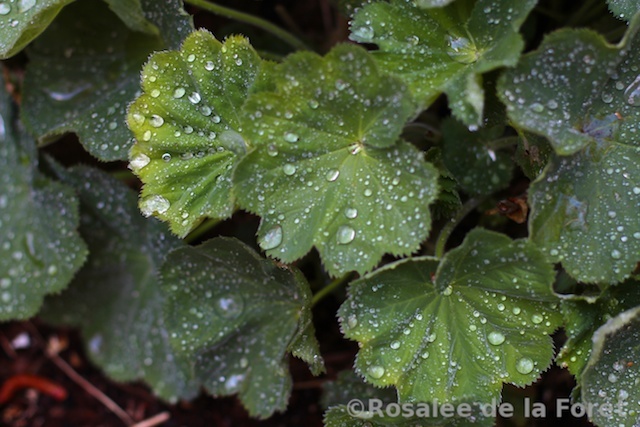 Can common mallow (Malva neglecta) be used like marshmallow (Althaea officinalis)? One way to tell the difference is by taste! Do they taste the same? Do they feel the same in your body? Just as the taste of an herb can tell us if two similar herbs can be used in the same way, the taste of herbs can tell us if they are different. Is Monarda dydima similar to Monarda fistulosa? Or is Holy Basil similar to culinary basil? The answer to this is fairly obvious once you know their taste. The taste of herbs can also gives us insight into whether different parts of a plant can be used in similar ways. For example, can elecampane flowers be used like elecampane root? What’s the difference between valerian flowers and valerian root? Understanding how the taste of herbs can be used in theory and in practice provides herbalists with a practical tool that they can use every day. Not only can it increase your confidence and effectiveness when choosing herbal remedies, it can also bring herbs to life through a sensorial and visceral connection to the plants. As in ancient times, herbalists would do well to continue to rely upon their trained senses and experience to properly assess the therapeutic nature of plants, and among the different faculties there is perhaps no equal to the perception of taste. Used by every system of traditional medicine, taste figures prominently in the practice of herbal medicine, providing immediate insight into the properties and uses of medicinal plants. What herb is good for _______ disease? I recently published an article about using herbs for uterine fibroids. The intent of my article was not a DIY or how-to sort of article, but was written to give someone an idea about the complexities of how herbalism approaches chronic disease. After it was published I became inundated with questions and statements such as the following. Today, in North America, people often don’t fully understand what herbalism is. Many people still mistakenly believe that herbalism is simply using herbs instead of using drugs. Sometimes I forget this (being so immersed in the herbal world myself) but these questions definitely woke me up! This article is another attempt on my part to explain what herbalism is, how it differs from western medicine and why there is no one herb for chronic disease. 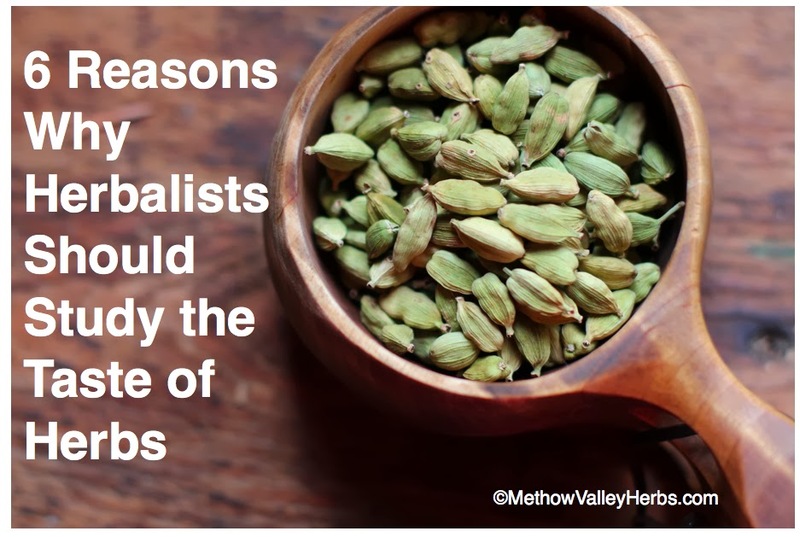 I’ve written another similar article on this topic which you can read here: 9 Reasons Why Herbs Don’t Work. Here is a classic example of how western medicine operates. A lot of people tend to think that herbalism is choosing to use herbs rather than pharmaceuticals for the disease the doctor has diagnosed. This results in the classic question of: I have ________ disease, what herb is good for that? If someone is the DIY type and they are diagnosed with eczema, they might pick up an herbal book, check the glossary for “eczema herbs” and attempt to use the herbs listed instead of taking drugs. Sometimes it doesn’t. The more complex the disease, the less likely this will work. Herbalism has been practiced in some form or another for countless hundreds of thousands of years. There is no one way to practice herbalism, instead there are many traditions with their own diagnostic methods and their own materia medica. Because the theory and practice of herbalism predates western medicine by thousands of years, it does not have a developed practice around using herbs for western medicine diseases. This is my big take home point. Herbalism is a system of healing entirely separate from western medicine. It not only uses plants (instead of drugs) but has a completely different diagnostic system. Therefore, that classic question: I have ______ disease, what herb is good for that? does not really exist within a traditional herbalist's repertoire. 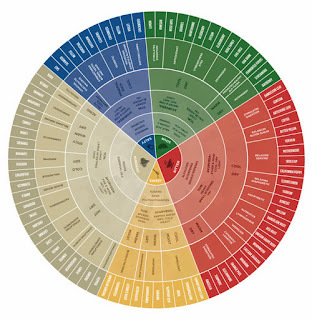 Depending on the type of herbalism studied, a person can learn various diagnostic patterns and techniques. Once a person is immersed in that system, a simple western medicine diagnosis of fibroids can be helpful, but is still very limited information! Choosing one or two herbs based on that diagnosis is rarely going to produce effective results. When to seek out additional help? Herbalism is often called the people’s medicine. As it should be! Here in the United States we still have access to commercial herbs and many medicinal plants grow around us. Herbs can be safe, cheap and effective. I believe it is a human right to understand how to use herbs for every day ailments. From tummy aches to simple injuries to aches and pains, herbs can also be simple and safe to use. However, if you have a complex chronic disease that you would like to use herbs for, then you will probably need additional help from someone who has the training and experience to work with chronic health problems. If you want to help people with complex chronic diseases then you will need to seek out advanced clinical training. Simple articles on the internet, even if written by yours truly, are not a good substitute. Trying an herb at random for a complex disease, not getting results, and then declaring “herbs don’t work” is not an actual reflection of herbs or herbalism. Most clinical herbalists go to years of study and training before they start working in-depth with people and herbs. I myself have over 8 years of herbal education under my belt. I promise you I didn’t spend all that time learning how to look up herbs for diseases in an index! When I work with people who have chronic disease I spend hours working with that person. I create an integrated plan that can be implemented over time. Depending on the unique situation, that person may need to change their diet, their lifestyle, adopt a broader range of healing mechanisms (from yoga to massage to fewer work hours, etc) as well as take a continually evolving collection of herbs. As you can imagine it's difficult to sum that up in a quick conversation about "what herb is good for that?" While there may be herbs that I commonly use for certain western diseases, I never have a cookie-cutter approach. Instead, herbs and other recommendations are chosen for the individual, not the disease. We live in a western medicine culture and can easily identify with terms like fibroids or eczema or fibromyalgia. And indeed, when doctors diagnose someone with these diseases it can be a helpful starting point for the herbal practitioner. And when I write articles, I use western medicine terms because people can identify with them. If I wrote articles on Natural Solutions for Kidney Yang Deficiency or how to dissolve stagnant phlegm in the lower burner, very few people would actually read them. However, herbalists work outside of western medicine. We do not diagnose western medicine diseases nor do we prescribe medicines for western diseases. Some may find this to be a limitation but I do not. When it comes to chronic disease, traditional herbal practices generally outshine western medicine in their ability to actually address the root causes of a problem (rather than simply suppress them). As herbalism continues to grow I hope that more people have this greater understanding of the differences between western medicine and herbalism. It’s up to us as herbalists to keep spreading the word!